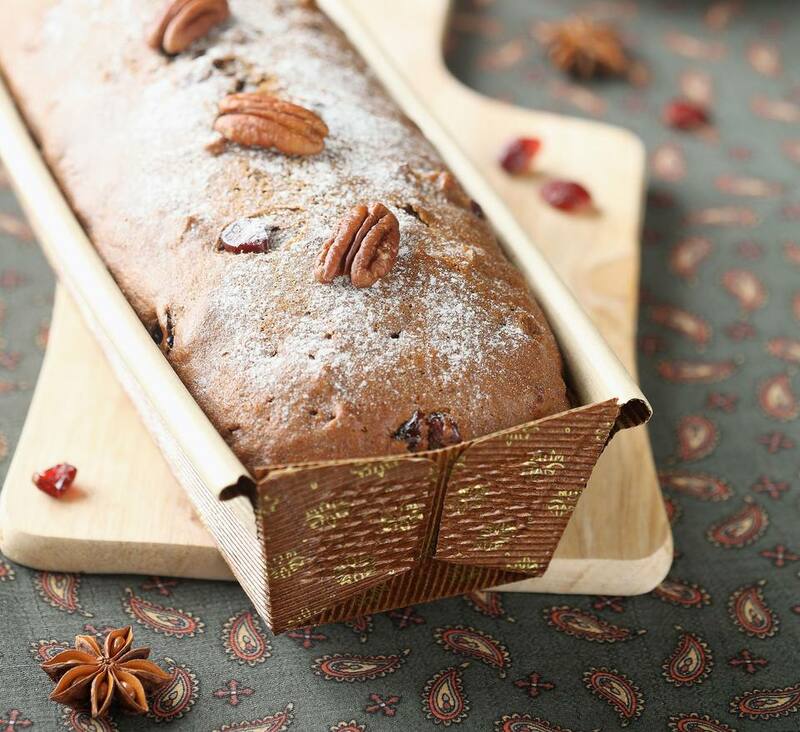 This recipe for Ukrainian Christmas honey cake or medivnyk and other honey pastries are traditional for Christmas, New Year's and Jewish New Year or Rosh Hashanah. The scarcity of sugar in the old days inspired Ukraine bakers to experiment with honey in baked goods, to good effect. There are as many versions of medivnyk as there are families. Some are made with sour cream, some with almonds or other nuts, or chocolate, and some are yeast-raised. What remains constant is the use of honey, preferably buckwheat honey. Honey pastries need a few days to ripen for flavors to be at their best, so be patient. In a small saucepan, mix together honey, cinnamon, clove, and nutmeg, and bring to a boil, stirring frequently. Remove from heat and cool to lukewarm. Heat oven to 300 F. Lightly coat two (8x4-inch) loaf pans with cooking spray. In a medium bowl, combine raisins, currants, dates, nuts of choice, and 2 tablespoons of the flour. Mix well and set aside. In a separate medium bowl, mix together remaining flour, baking soda, baking powder, and salt. Set aside. In a large bowl or stand mixer, cream together butter or parve margarine and brown sugar. Mix in the lukewarm honey from step 1. Add flour and coffee alternately until well mixed. Then stir in fruit-nut mixture. Bake about 1 1/2 hours or until toothpick tests clean. Allow to stand at room temperature, covered, a few days before serving.